Awesome chair! I can't wait until we get K's. It is going to make life so much easier! Such exciting news!!!!!! He looks so comfy sitting in the wheelchair! I hope the approval doesn't take too long. 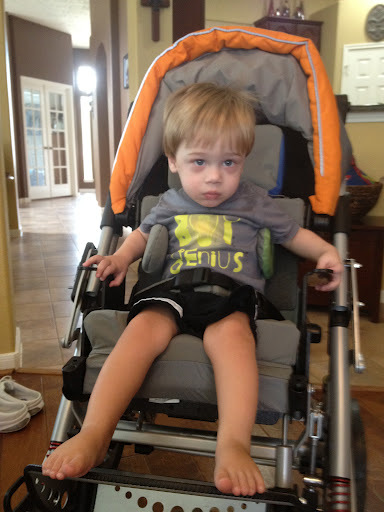 When Matt had outgrown his stroller and we were waiting for the special needs stroller the wait seemed to take forever. I hope you guys get it on the first approval! Also, such exciting news about the nurse!!!! Have you found out if your can have the nurse there on Sundays so you guys can go to church? Wow, all of Grayson's new equipment is awesome! 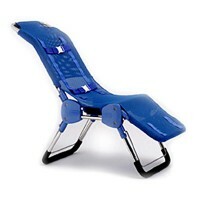 I can't wait to see him in his new chair! Great new set of wheels!! He looks precious in it and so awesome for the bath chair!!!! Wow – all of these things make me so happy! LOVE the chair – he looks like he loves it too. man – good news all over! LOVE it! 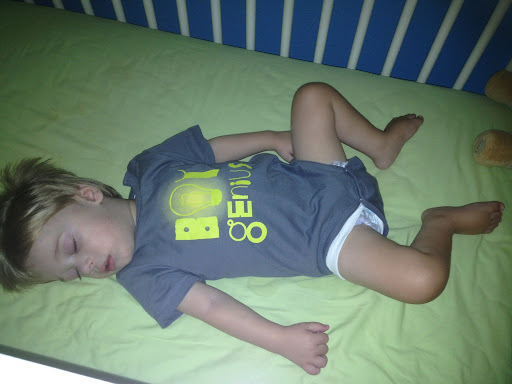 He is such a leggy little boy – I love it! !How wonderful to get a wheelchair that he feels great in. he is looking sooo grown up! his new gear will be like an early Christmas, and will make things easier for the both of you! Love that you're getting all this help and equipment! The chair looks awesome!!! 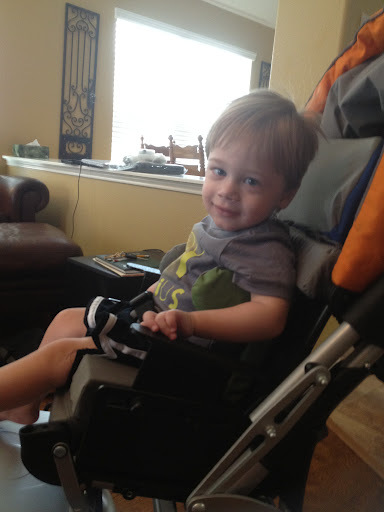 His new chair is awesome – I think it looks like a stroller! That bath chair is cool! Does he like bath time?